I have been thinking a lot about summer lately. Easy dinners, iced tea, and picnics by the beach are pretty much all I can think about especially while slaving over a hot stove. Alright, maybe I never s-l-a-v-e over a stove but coming up with dinner ideas is hard work. How people come up with new recipes, daily, is beyond my grasp. 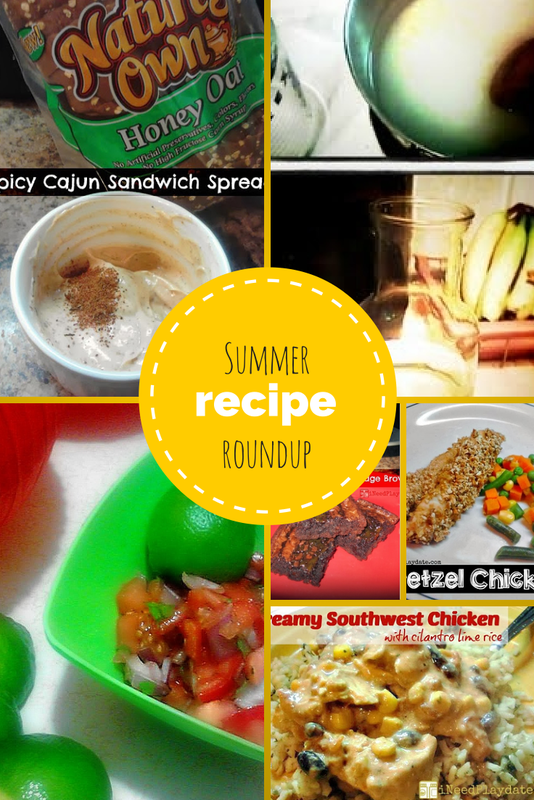 So, with that in mind I thought I would recap some old recipes that would work well for the summer. Simple Syrup is a summer staple in our house. I don't like sweet tea but the Husband does and in a fit of not wanting to make two pitchers of ice tea one day several summers ago I remembered that I use to work in restaurants and I now keep this in the fridge all summer long. Pico de gallo is fresh and light. We use for chips, of course, but also on top of salads, rice, and chicken. Pretzel Chicken is easy and kid approved. I make these in batches and they are easy to reheat in the oven or toaster oven. I have even seen the kids grab them from the fridge and eat them cold. Make your own sandwich spread. Sandwiches are our go-to dinner option when it is too hot to cook but they can get boring. Experimenting with mayo and your spice cabinet is an easy way to spice up your turkey and wheat. I also find I use less mayo when I do this. And, for the days it is just too hot to cook but you want something more filling - break out the crockpot and let it do the work for you. For a lighter version, leave out the cream cheese or replace it with greek yogurt cream cheese. Last but not least - dessert. Brownies. Can't you just picture these babies with ice cream melting all over them!